Protect Your Plant and Employees From Dangerous Materials While Simplifying the Clean-Up Process of Spilled UV Inks and Coatings. A UV material spill can quickly turn into a hazardous, hard-to-contain mess -- without the right Spill Kit on hand. The deluxe UV EB MATERIAL SPILL KIT, packed with a variety of absorbents, provides quick containment and efficient spill clean-up and disposal. This UV EB MATERIAL SPILL KIT is specifically designed to facilitate the rapid clean-up of UV material spills. The Deluxe Spill Kit was custom designed for both efficient UV material clean-up as well as personal safety considerations. This dynamic kit offers six complete personal safety suits so one person can clean-up numerous small spills or alternatively, so multiple people can work to prevent a single large-scale spill from getting out of control. Absorbs 5 gallons of spilled material. 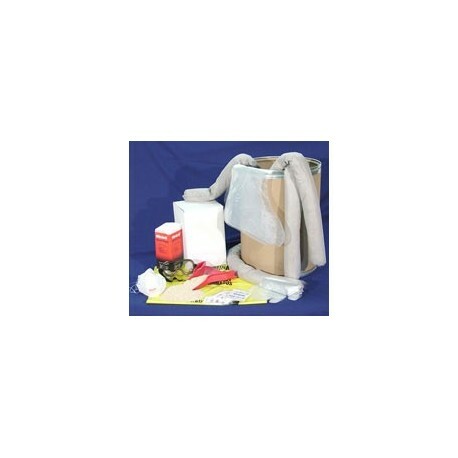 The UV EB MATERIAL SPILL KIT is designed to take care of any type of spill. 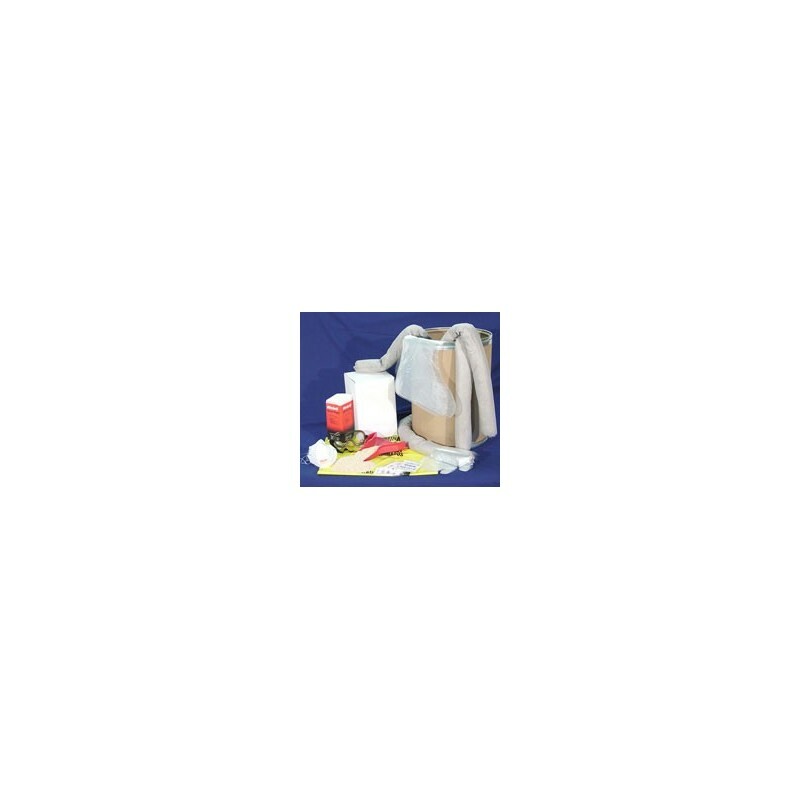 It offers a combination of spill socks for use in larger spills and containment, granules for wide spread spills and hard to reach spaces, and absorbent towels for small messes and spills on sensitive equipment. All packed in a sturdy, resealable fiber drum.